A Maine Medical Association campaign to coax more primary care doctors to offer medication-assisted treatment has paid off, but Medicaid expansion will test Maine's capacity to meet the demand. Two years after it started, the Maine Medical Association is beginning to see results from its effort to persuade more doctors to prescribe Suboxone, one of the most effective medications for treating opioid use disorder. About 200 doctors, physicians assistants and nurse practitioners have completed training and obtained the federal waiver required to prescribe the medication since 2016, according to estimates by health policy experts based on federal data. The expansion in Maine’s capacity to combat the opioid epidemic, in which fatal drug overdoses are claiming roughly an average of more than one person a day, comes at an opportune time. Governor-elect Janet Mills has said she will approve Medicaid expansion as soon as she takes office in January. As a result, an additional 70,000 low-income Mainers will become eligible for health care coverage, including treatment of opioid use disorder. The Maine Medical Association, which represents physicians before the Legislature, said Maine is prepared for the wave of new patients seeking appointments. Others are more skeptical, pointing out that it’s unknown how many of the new Suboxone prescribers will agree to take on significant numbers of patients. And Smith cautioned that many barriers to treatment remain, and much more needs to be done to connect patients to doctors willing to provide treatment. The association has been barnstorming the state since 2016, trying to persuade doctors to become Suboxone prescribers by hosting informational sessions and training courses that are required to obtain federal waivers. Doctors, physician assistants and nurse practitioners who complete the federally-mandated training can treat up to 275 patients with opioid use disorder with a combination of Suboxone and counseling. Suboxone, also known as buprenorphine, is a crucial drug in medication-assisted treatment, which public health experts consider the “gold standard” in treating opioid use disorder. It’s not clear how many doctors and other providers completed the training, but there are now about 200 more providers who have obtained the required federal waiver to prescribe buprenorphine than there were in 2016. Between 2017 and 2018, the number of prescribers increased by about 100, federal data show. Many Mainers with substance use disorder are uninsured and have little income, as the drug cravings take over their lives and they lose jobs, family connections and often go through any money they have saved before seeking help. Without insurance or money, they have a hard time getting treatment because there’s no system to pay for consultations, therapy, prescriptions and medication management. How many such people will seek treatment under Medicaid expansion is unclear, but there are some rough estimates. Public health experts consider Suboxone the “gold standard” in treating opioid use disorder. Of the entire Medicaid population, about 12 percent have a substance use disorder. Federal research of expansion populations indicates that about 15-35 percent have a substance use disorder. That would translate to between 10,000 and 25,000 Mainers among the population of 70,000 who would be newly eligible for coverage. Not all of those people would be using opioids, as substance use disorders also include other illicit drugs and alcoholism. Maine has 742 health care professionals with waivers to prescribe buprenorphine. If each of those treated 30 patients with opioid use disorder, the state’s capacity would be roughly 22,000 patients, not including methadone clinics. Methadone is another effective method of treating opioid use disorder, but it’s typically used for more severely ill patients. Dr. Lisa Letourneau, associate medical director of Maine Quality Counts, a health advocacy group, and a new buprenorphine prescriber, said the increase in prescribers is good news, but she expressed concerns. 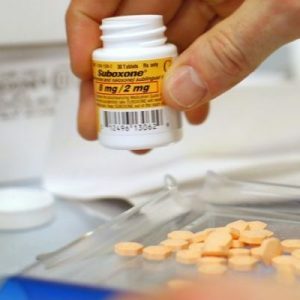 Many of the 742 doctors and others with waivers to prescribe buprenorphine are not willing to take on a significant number of additional patients, she said. Some only got the training to treat their existing primary care patients who happen to have a substance use disorder. And only 333 of the doctors are listed on a federal website, maintained by the Substance Abuse and Mental Health Services Administration, that prospective patients would use to find a doctor. Doctors and nurse practitioners can choose whether they want to be listed on the site. “How helpful is it if we have 742 buprenorphine prescribers if patients can’t find them? 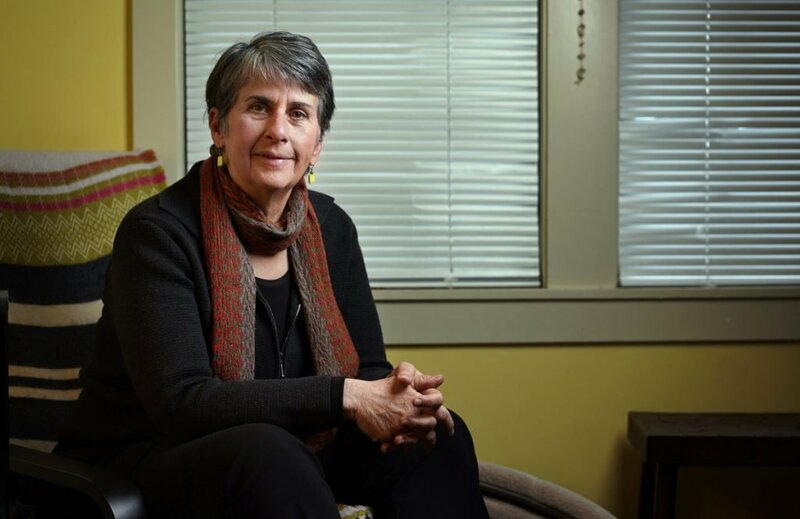 What we really need are new systems that can connect people to care,” Letourneau said. Other barriers exist, too, such as for people who want treatment but live in abstinence-based housing, where the use of Suboxone medication is often prohibited. Dr. Mark Publicker, one of the leading substance use disorder specialists in Maine, said he’s not yet seeing a lot of improvements in treatment capacity. Smith, at the medical association, said “we still have a long way to go,” and the association will continue to host training sessions and try to coax doctors to become Suboxone providers. Maine has about 2,000 primary care physicians. Another issue is that prescribers are not evenly distributed around the state. 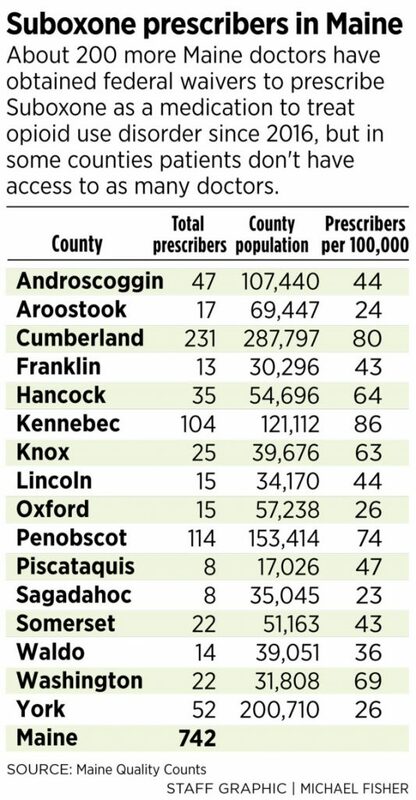 For instance, while Cumberland County has 80 buprenorphine prescribers per for every 100,000 residents, rural Aroostook County has only 24 per 100,000. Maine, however, appears to be in a better position than when New Hampshire expanded Medicaid in 2017. At that time, New Hampshire, which has similar demographics to Maine and also has been struggling with an opioid crisis, had fewer than 100 Suboxone providers in the state, said James Potter, executive vice president of the New Hampshire Medical Society. Since then, New Hampshire also has undergone a campaign to get more doctors prescribing Suboxone, and the state now has between 350 and 400 prescribers, Potter said. “It’s improved, but we still do not have enough practitioners providing the services that we need,” he said. For Letourneau, deciding to work as a front-line doctor after exclusively working on health policy for 20 years has opened her eyes to many of the practical problems that patients face. But she learned that many of the stereotypes about Suboxone patients, including that they are difficult to treat and time-consuming, are not true. “We have to get away from this idea that treating these patients is scary. It is not. This is essentially managing medication and connecting patients to therapy. On the medication side, this is easier for doctors to treat than many other conditions, such as diabetes,” Letourneau said. Meanwhile, Letourneau said, doctors can see patients turning their lives around.